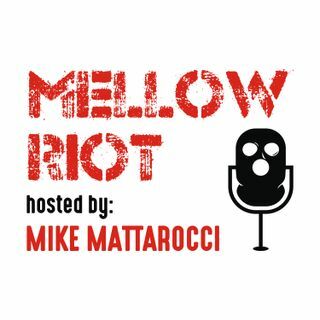 Esplicito Episode #9 - Mike Mattarocci Discusses The Rise Of E-Sports And It's Biggest Star "NINJA"
In this episode #9 of the MELLOW RIOT PODCAST, the host Mike Mattarocci does a solo podcast as a look into the massive, yet relatively new, world of E-Sports. There are several articles reviewed in this VLOG. One was a description of E-Sports and the other from ESPN discussed the massive exposure of it's biggest star - NINJA. We broadcast live weekly on Facebook. Join us in our live broadcast and we look forward to trying something we’ve never seen people do before - we are going to ask ... Maggiori informazioni our fans to ask questions via live video each week. If you want to join us in our broadcast, send us a message during the broadcast and attach your email address. We will include you in our live broadcast and allow you to ask questions of the host, or the guest. You can do this from your mobile phone, desktop computer, tablet, watch or whatever you choose to use. We’re excited to see how this experiment turns out. Please don’t get naked during the live feed - we don’t want to get banned (or threatened by your boyfriend). NOTE: If you like what we’re doing and want to help us, please click the “subscribe” button here on Youtube. Also, click the little "bell" icon so you get notifications from Youtube that we've uploaded new content. Tell your friends about us, so we can continue to share what we're doing with more people and expand our podcast to more like-minded individuals. More importantly, we also want you to know that this content will be available to consume on iTunes as an audio podcast, on Facebook as a video podcast and other places such as Soundcloud and Alexa voice. Join us on this journey, ask us lots of questions, tell your friends about it, suggest new guests, let us know if you’d like to become a sponsor, etc etc etc. Much love from the “MELLOW RIOT” team. We love what we're doing and the biggest help from you would be a simple "follow", "like", or even "share".